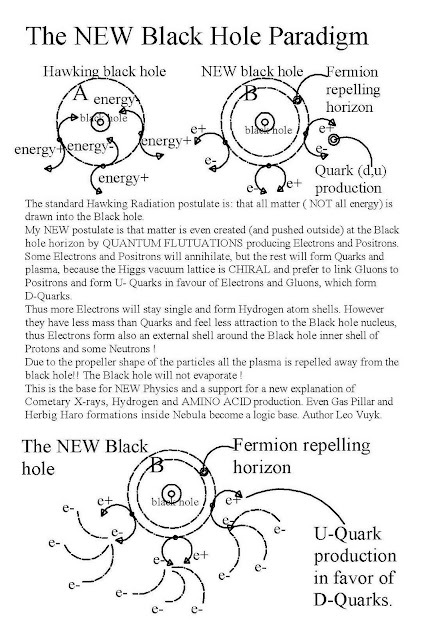 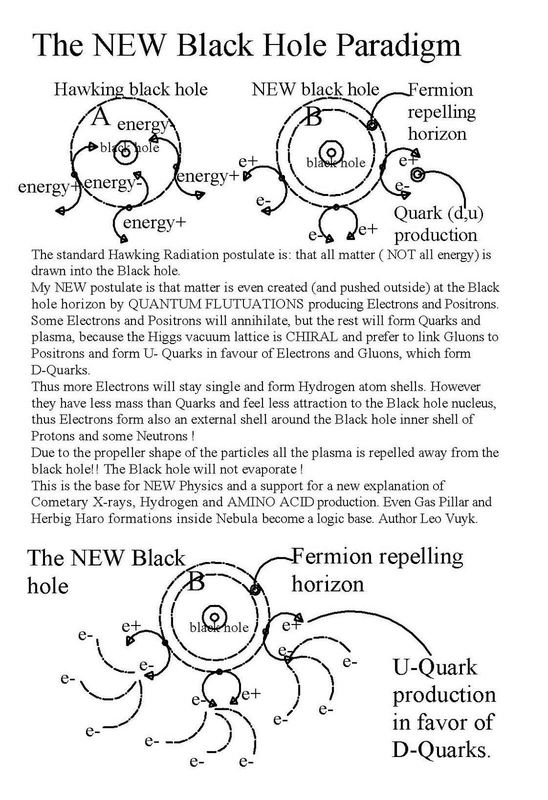 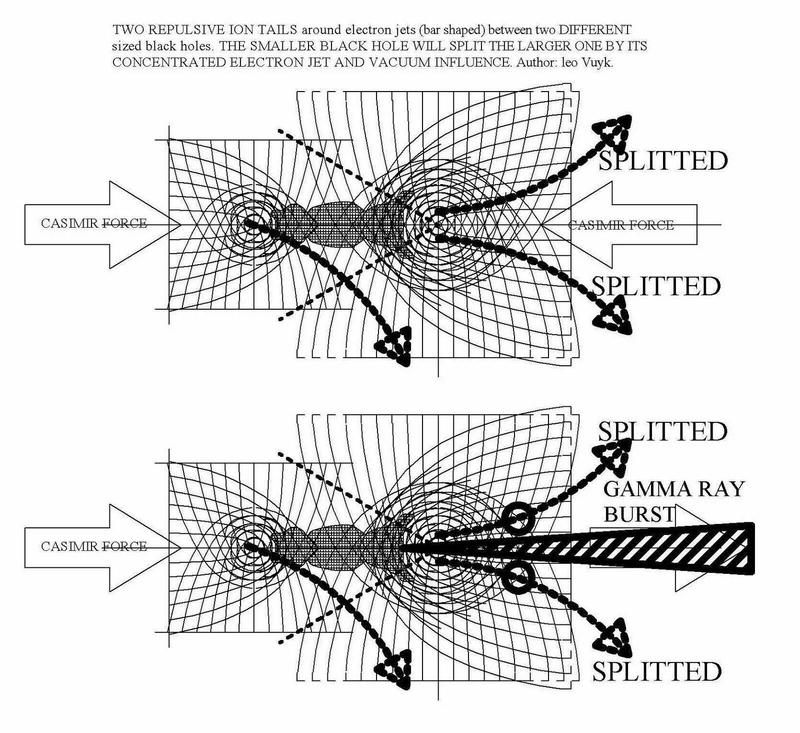 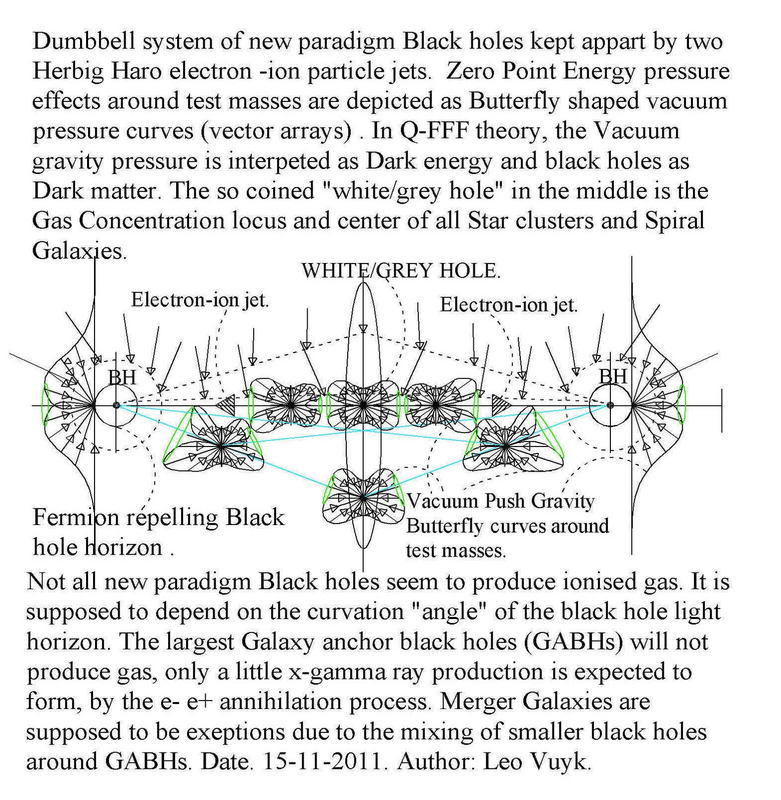 Cygnus X and Carina areas, a showcase for Quantum FFF theory and the new black hole paradigm. 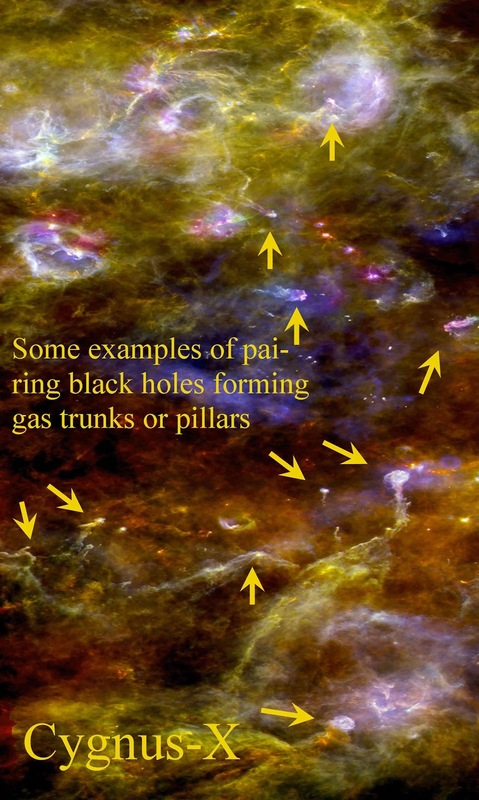 Herschel does reveal the region's complex filaments of cool gas and dust that lead to dense locations where new massive stars are forming. 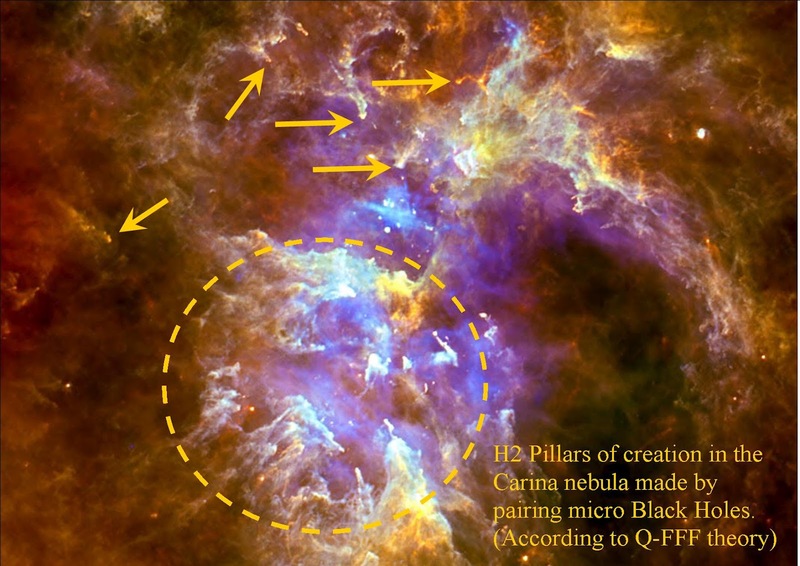 Cygnus X lies some 4500 light-years away toward the heart of the northern constellation of the Swan. 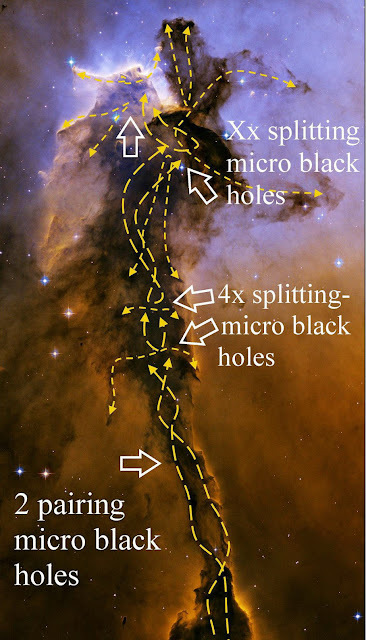 At that distance this picture would be almost 500 light-years wide. 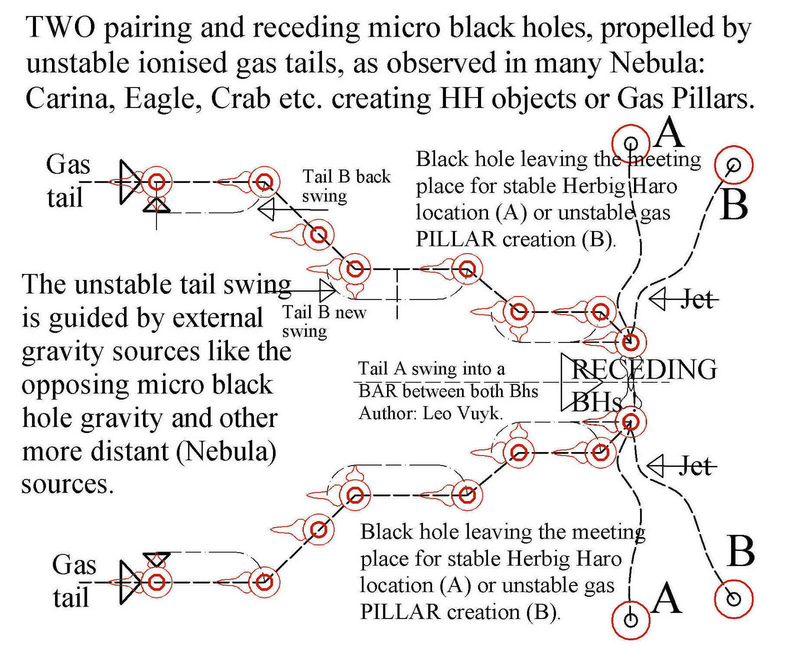 Herbig Haro dumbbells with star forming in between. How different sized black holes are able to downscale each other. 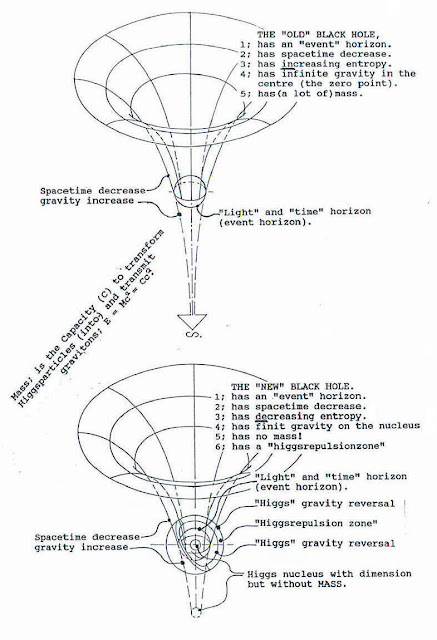 The smaller black hole will always split the larger one. 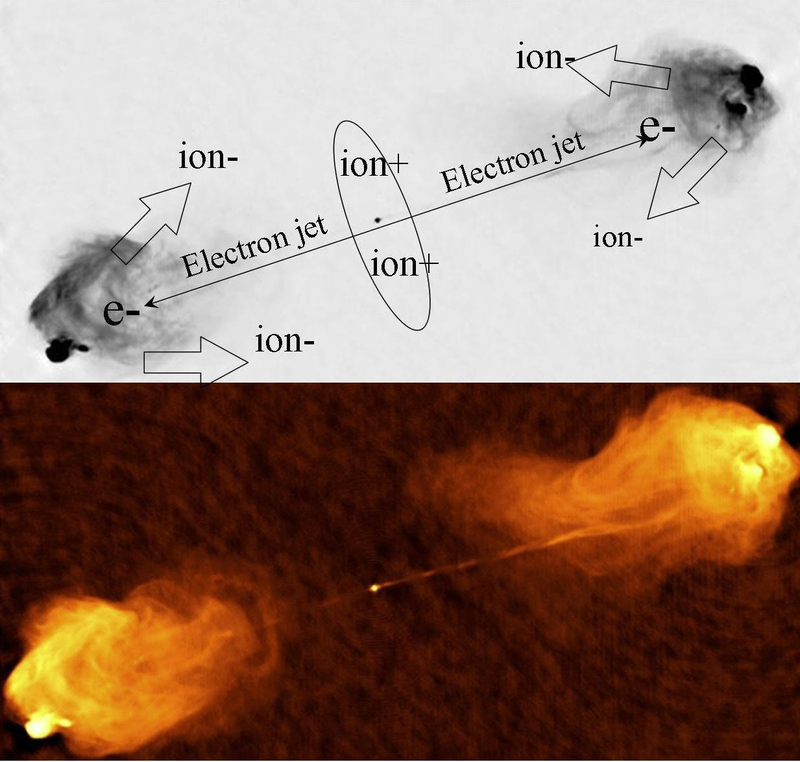 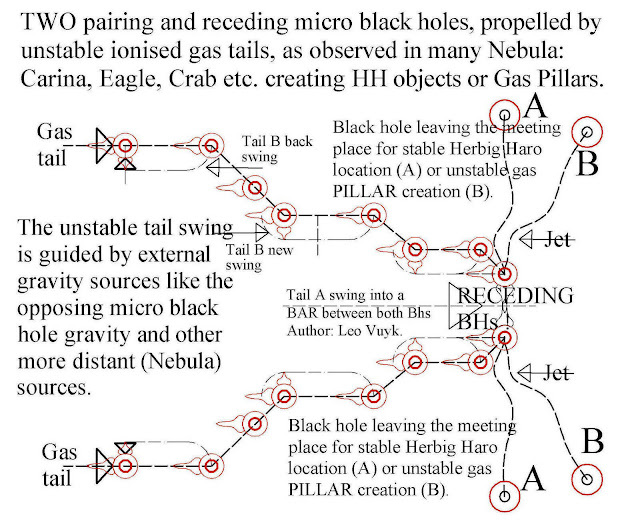 The Eagle example of splitting and pairing black holes to become starforming Herbig Haro dumbbell systems. 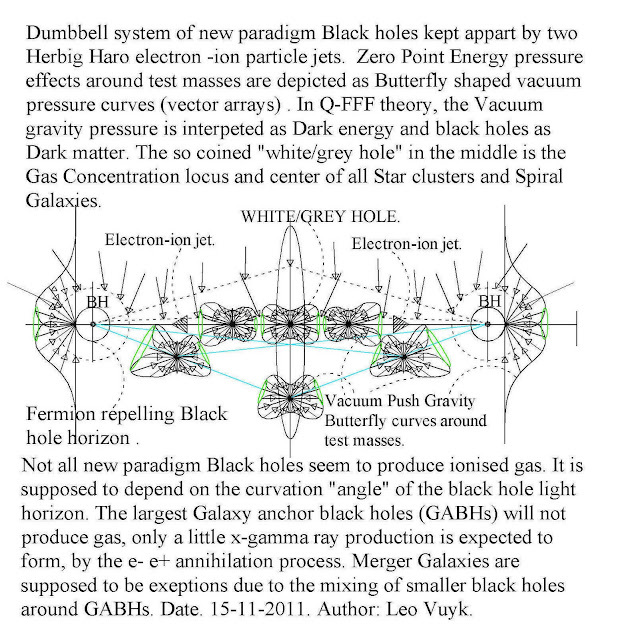 Accelerated star formation in between black holes by vacuum deformation of dark Casimir energy. 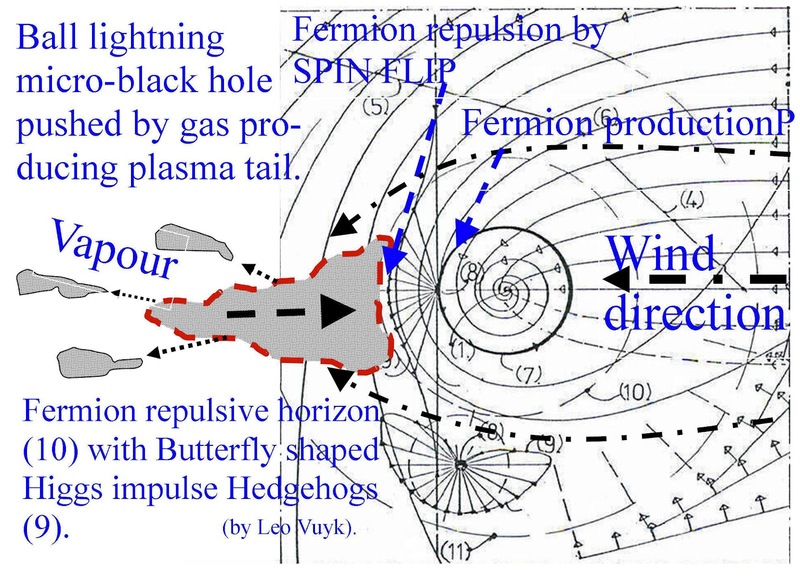 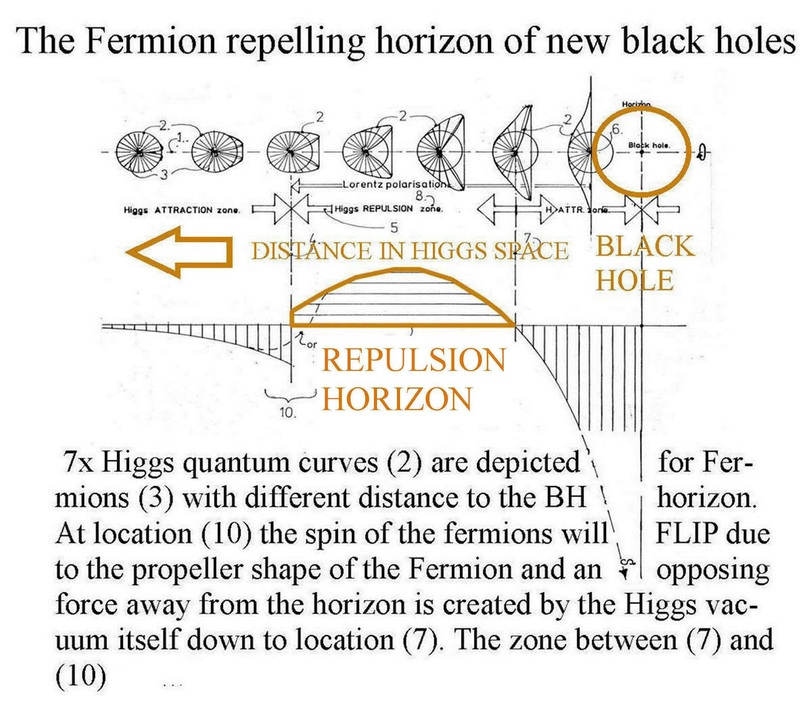 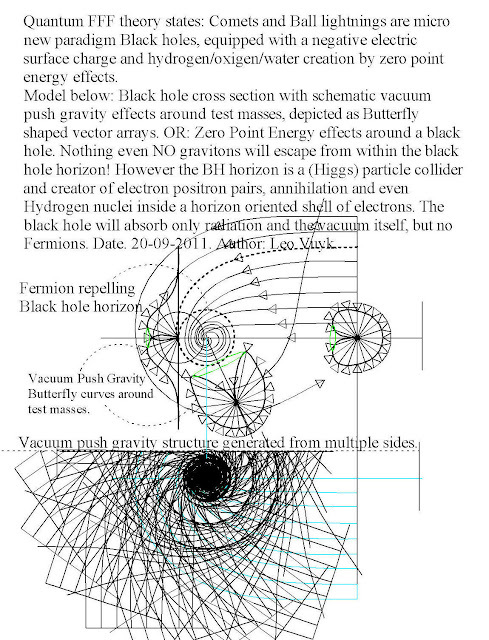 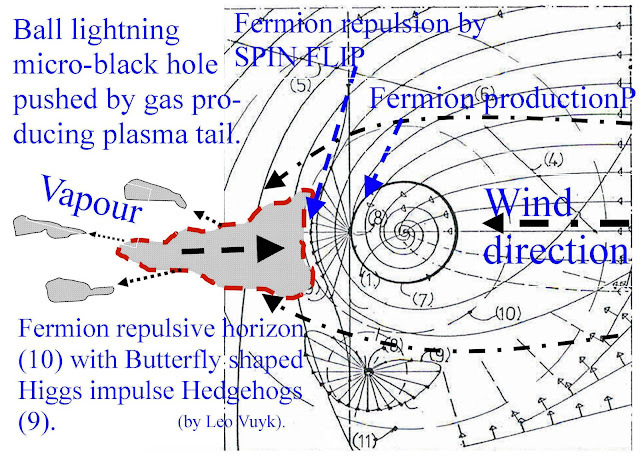 Anti-symmetric vacuum oscillations around a single black hole.